Sakura Fortune – a game inspired by the beauty and stunning Japan. You can see stunning views of the Japanese cherry blossoms in a big garden of these and green all over the place. Everything is simply stunning and the game is certainly very easy on the eyes. We proudly present; Sakura Fortune, a game brought to you by Quickspin. 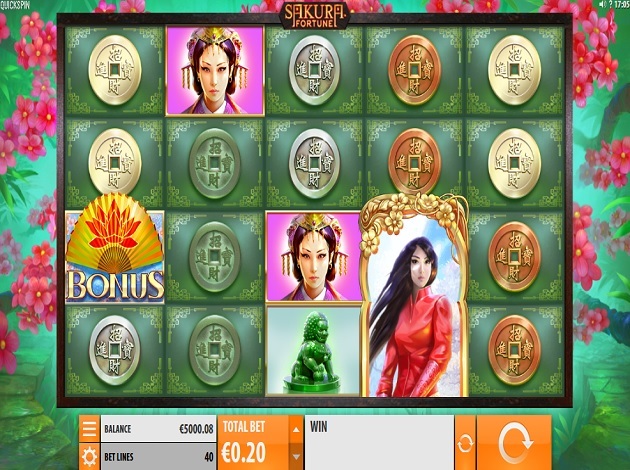 The moment you enter Sakura Fortune Video Slot, you can see what you can expect from this masterpiece. The game is very well-made with the soothing and calming layout of it all, and you can enjoy the traditional Japanese looks, symbols, and artefacts. Wherever you see, you will enjoy it. The symbols you can come across on the reels are made to suit the theme of the game, all made in flawless details and suiting looks. The lower valued symbols are the Japanese coins, the green, the bronze, the silver, and the gold coin. These are worth between €80 and €100 when playing with the max bet – and when landing on five of a kind. The higher valued symbols are then the green statue, the orange dragon statue, the Sakura prince with long hair and a sword, the Sakura queen, and the Sakura king – and these are then worth between €160 and a staggering €800 with the max bet and landing five of a kind. Out of these, the king is the top player. But above all these rewarding symbols, there are also a few extra special ones to keep a lookout for when spinning the reels. The yellow hand fan is the Bonus Symbol, which can lead you to the games´ Free Spins Feature, and the beautiful princess is the Wild Symbol. She can also reveal some greatness of her own. But we will reveal all about these symbols shortly! "When the Sakura is at its peak, businesses vary their trading hours to give staff the time to enjoy hanami"
Did you know that Sakura is actually the Japanese word for the beautiful, infamous for Japan, cherry blossoms? This flower is one very special and meaningful for the people and the land of Japan. They symbolize spring which is a time of renewal and the fleeting nature of life. They even throw cherry blossom parties and eat underneath these pretty trees. It is also said that a cherry blossom makes people marry and these cherry blossom trees are also said to mark a brand-new start. It is a fascinating, to say the least – and in Sakura Fortune, you will feel all of this and more. When you first see the game, you can see the princess stand in the middle of a surrounding of cherry blossom trees with leaves falling in the wind, and it is all very pretty. Going to the reels, you still have the same feel as the backdrop is made of these beautiful flowers. The graphics and designs of the game are very well-made and you can see how much effort was put into this game. Sakura Fortune Video Slot grants you 5 reels on 3 rows with additional 40 paylines. Sakura Fortune Video Slot is a game that offers a lot of features, but a Bonus Game is not one of them. If you do, however, enjoy a game with a similar theme and an additional Bonus – then you should check out Koi Princess from NetEnt. Three or more of the Bonus Symbols of the fan are your way to the Free Spins Feature. During your Free Spins, the princess Wild can appear on the reels to then cover the entire reel and award an extra Free Spin. This princess Wild will then remain there for the rest of the Free Spins Feature – this grants you even higher wins. Sakura Re-spins; Two full stacks of the princess Wild Symbol will trigger the Re-spins Feature. The number of Re-spins you get is then related to the number of stacked Wilds on the reels when triggered. When landing two full stacks you get two Re-spins, and additional Wilds will, of course, give you more. Wild Symbol; The Wild Symbol is the one mentioned a couple of times above, and this is a 4x1 Symbol of the princess. She can step in to replace for all symbols apart from the Scatter Symbol. We hope that you are ready to be stunned by this lovely masterpiece. We sure were, and we loved it! Quickspin is a Swedish game studio developing innovative video slots for the free to play social and the online gambling market. Their headquarters are in Stockholm, Sweden. Quickspin´s team has years of experience, a burning passion for gaming and a love for gambling, but most importantly, they care about and respect their players. Quickspins´ goal and wants is to deliver games in high quality and innovative themes – the kind of games all kinds of players could love and enjoy from. Quickspin creates video slots that are worth playing, worth finding out more about, and worth all of your time. Quickspin is a company with a team that simply loves what they do. 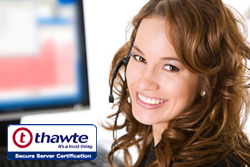 A team of experienced designers, developers, testers, etc. all makes for a perfect team. The team is behind the incredibly made slots, and slots are what Quickspin loves. Starting with the mathematics behind the game leads their way into a theme, a story, and finally a finished product – and this is what makes the amazing games. Some of the games from Quickspin are Dragon Shrine, Big Bad Wolf, Spinions, Sevens High, Second Strike, and Gold Lab.